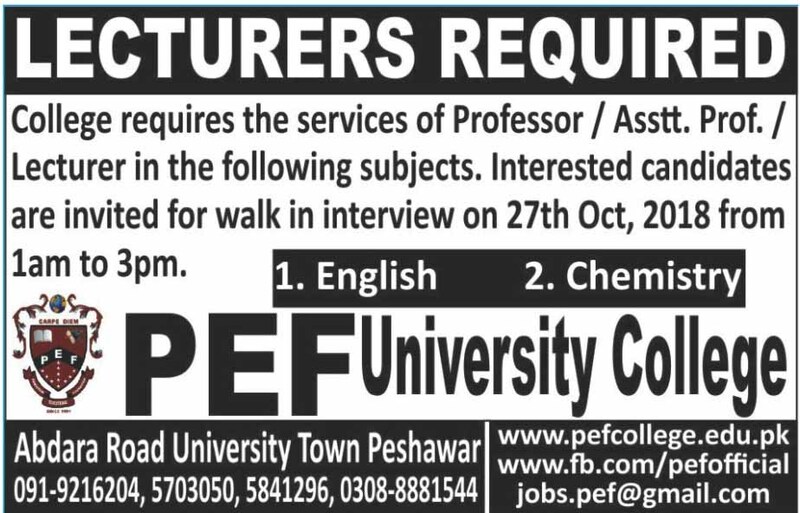 PEF University College Peshawar Khyber Pakhtunkhwa. Interested candidates are invited for walk-in interview on 27th Oct 2018 from 01 am to 03 pm. Abdara Road University Town Peshawar.